RT correspondent Sean Thomas has witnessed the world's coldest continent play host to two heads of state. Antarctica, whose famously unpredictable climate usually keeps visitors away, made a surprisingly favorable impression on the VIP guests. As a military C-130 Hercules approaches a gravel air strip, the people on the ground prepare for celebrations. The presidents of both Chile and Ecuador are making an official visit to their respective research stations in Antarctica. 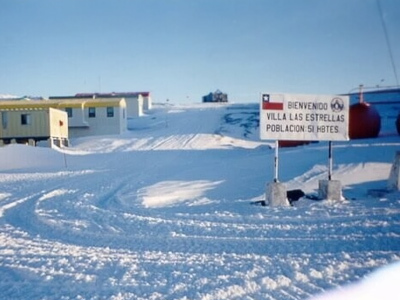 “For our base it is a very important visit, but it is also important for our people as we here are the gateway to the rest of Antarctica, and for Chile it is very important to support the Antarctic Treaty,” said Air Force Colonel Alan Mejias from the Chilean Base Presidente Eduardo Frei Montalva. President Sebastian Pinera’s visit has the potential to generate much political heat as Chile holds a territorial claim over the Antarctic Peninsula, clear down to the South Pole. On this particular trip, though, disputes were sidelined in favor of a more international message. “Antarctica has been and should always be a continent of peace and friendship and has to be very friendly with nature and the environment. And Chile is very much committed to that and I am sure that the Russian people share these feelings and so together we have to save the Antarctic because it is a continent of the future, of peace and also of science and technology,” the president of Chile said. And while Ecuador holds no jurisdictional claim on the continent, Rafael Correa’s visit does hold some national significance. “Oh this is a very impressive place. You know, this is the first time that an Ecuadorian president is here in Antarctica, so it is very exciting, it is very important for us,” said the president of Ecuador. Hosting not one, but two presidents is a tricky business, especially in Antarctica, when the best-laid plans are constantly blown off course by the turbulent and unpredictable weather. “We have a saying about Antarctica, that she alone decides who can and cannot visit her. In fact, last year both presidents Pinera and Correa tried to visit but could not land because the weather shifted and it was too dangerous,“ Colonel Mejias says. Planning the logistics of a visit for a presidential delegation can indeed be difficult, but the group was able to squeeze in some Russian culture as well with a visit to the Trinity Church. Traveling with the presidents are delegations of both Chile and Ecuador’s top military brass as well as Chile’s Minister of Energy, Laurence Golborne. And while there were photo opportunities and press conferences, the main message from these heads of state was one of international cooperation. “Antarctica is an example of unity and harmony, we can work together in order to improve humanity, the planet. So it sets a very good example that we can work together and do research, gather knowledge, for everybody,” president Correa said. And as their presidential flight leaves the continent after a successful visit, the teams of international researchers left behind turn back to the work in hand, ensuring that that idea of unity is realized. 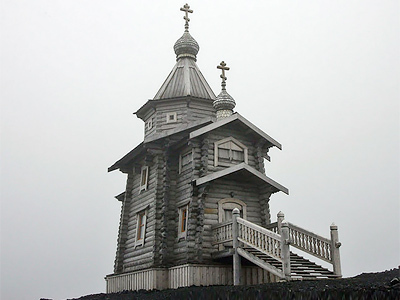 You can read more about Antarctica and other far-flung corners of the globe in Sean Thomas' blog.